Today’s pharmaceutical industry, buffeted by commercial and regulatory challenges, needs new sources of value to sustain its business. One of the most promising is also among the least explored: the everyday logistics of getting products from factories to distributors, prescribers and patients. Accurate, timely logistics performance is so essential for pharmaceutical companies that for most, it no longer serves as a major strategic differentiator. That achievement can lull pharmacos into paying little attention to their warehousing and transport capabilities until problems - such as delayed orders, incorrect shipments or damaged inventory - arise. A closer look, however, would show that complacency comes at a very high price: most pharmacos’ logistics costs are much higher than they could be, in mature markets and - even more dramatically - in emerging markets. Moreover, some of the most popular short-term fixes that pharmacos have pursued are pushing costs higher still. 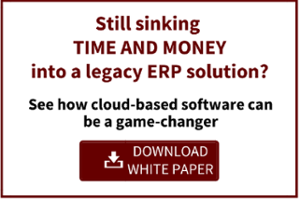 Heavy investments into IT, such as for sophisticated transport- or warehouse-management systems, fail to pay off because they end up layering flashier equipment on top of long-standing operational weaknesses. And automation projects, prone to cost overruns, prove too expensive to maintain and too inflexible to respond to market changes. Given those headaches, turning over logistics to third-party service providers, as much of the industry has done, might seem easier. But to manage providers effectively, pharmacos still need to retain their expertise in logistics, or join peers that find themselves at the mercy of rising provider fees. The common practice of aggregating transport and warehousing, for example, obscures costs in a way that further weakens a pharmaco’s ability to win even minor savings from its contractors. Indeed, our research over the past decade into the logistics practices of dozens of companies, covering almost 200 warehouses in the pharmaceutical industry alone, confirms that these strategies generally fail to meet the companies’ goals. But the findings also confirm that with the right application of well-tested methodologies (many of them already in use in pharmacos’ manufacturing operations), transport and warehousing are an untapped goldmine that together offer savings equivalent to 15 to 30 percent of a company’s total distribution costs (Exhibit 1). It will, however, require a deeper commitment of time and effort. One European pharmaco’s experience illustrates the potential. Through a combination of better management of transportation, network consolidation and lean warehouse operations, it reduced its logistics costs by 33 percent. At the same time, “pick errors” - sending the wrong product - fell by 50 percent, while overall delivery performance actually improved. For many pharmacos seeking additional logistics efficiencies, the promise of reduced cost at greater precision has made automation the improvement investment of choice. But too often the gains then fade quickly, if they arrive at all. A regional pharma distributor followed the standard pattern when it pinned its cost-reduction hopes on an expensive automated storage and retrieval system (ASRS) to handle detailed picking at its warehouses. The belief was that the system’s high up-front price would be balanced by the reduced operating expenses the system was expected to deliver. Once installed, however, the ASRS yielded no operating-cost savings - in fact, it was more expensive to run than an optimized manual system, especially once less-visible costs such as those for maintenance or specialized labor were factored in. Yet reverting to the old system proved to be impractical: The company would not recover any of its sunk costs, and ripping out the ASRS would itself be so expensive as to swallow any benefit that the company might earn. Understandably, other pharmacos instead seek to wash their hands of the issue by outsourcing as much of their transport and warehousing responsibilities as they can. Some aspects of pharma logistics virtually require outsourcing. With limited transport infrastructure of their own and warehouses that may be too small to run very efficiently, pharmacos can sometimes reduce costs and raise quality almost instantly by turning to third-party logistics specialists. But unless companies are exceptionally careful in selecting and managing their logistics service providers (LSPs), the cost benefits can fade. A recent analysis of European warehouse performance, for example, found that across industries, LSP-managed warehouses showed the greatest cost variation and the highest average savings potential - meaning that as a sector, their average cost performance was the lowest. Given that LSPs are building a margin into their cost structures, this result is perhaps not surprising. But it shows that in relying on outsourcing, pharmacos are often trading one set of problems for another. And it suggests a real opportunity for pharmacos to achieve much more than the 2 to 3 percent in savings that many have regarded as a satisfactory result of their cost-reduction efforts. The answer will let the company make better-informed trade-offs and create value by improving vendor management, revamping the logistics network’s structure, and reexamining internal practices, especially via lean management of the company’s warehouses. Building from a clean sheet. As a first step, the pharmaco must learn not only what its logistics costs are, but also what drivers account for those costs. It therefore must identify all of the components of logistics to see which of them are costing the company more than they should. The goal is a ground-up cost perspective that starts from a “clean sheet,” which will consist of the lowest possible cost of each component, rather than the actual cost the pharmaco is now paying. The component-by-component price differences reveal where the pharmaco must focus its cost-cutting efforts. The level of detail involved presents an initial hurdle, as the analysis must not only cover the materials, equipment and people required, at the volumes that the logistics system must actually handle, but also provide estimates on an activity-by-activity basis. For warehousing, how much labor is required for picking? How much for packaging? For transport, how much does the typical round-trip cost? How many shipments can be consolidated? Overhead costs must be included on a function-by-function basis: an allocated percentage of dispatching, HR, compliance and so forth, as well as of senior-management time. Certain costs, especially in transport, may require adjustment for the synergies that third-party providers earn by serving several pharmacos at once. In warehousing, the impact is usually fairly small, if even noticeable: better space utilization and greater economies of scale for certain types of overhead. In transport, by contrast, the benefits can be much larger. Putting two pharmacos’ goods on the same truck to the same destination could cut the provider’s costs in half, seriously throwing off estimates. Yet as daunting as the data demands may appear at first, even a pharmaco that relies heavily on third-party providers can create a reasonably accurate picture of what logistics should cost - and by using mainly internal resources. Pharmacos’ procurement and logistics specialists typically have enough local-market knowledge to estimate many of the most important external inputs, such as prevailing wage rates for drivers or warehouse workers, average rents and utility costs. For many other factors, such as volume figures or the cost of individual functions, pharmacos can use their own history in the relevant markets, or can visit existing logistics sites to assess conditions on the ground. The one exception will be for transport: With external market research, the pharmaco can generate a rough model of the volumes the provider is moving between the same places for different pharmacos - and therefore of its cost structure. For each of these logistics components, the data that the inquiry generates will provide a range of values. The sum of the lowest values is the hypothetical ideal: the lowest-cost warehouse, for example, and the lowest-cost transport options. The more data that the pharmaco can gather, especially from outside benchmarks, the more robust that ideal will become. Finding the gap. The next step is to compare the actual cost of each separate component against the lowest cost that the analysis could find. The details from the data point the pharmaco toward the root causes of major differences. For example, if receiving activities show the largest variation among labor costs, the reason may be excess idle time from “feast or famine” delivery schedules. High variation in picking costs often result from poorly designed layouts that force staff to run from one end of the warehouse to another to complete orders. With this deeper insight into the true costs that third-party providers are experiencing, pharmacos can use a combination of sticks and carrots to make significant improvements in managing their contracts. If rising wages on China’s coast are the chief factor pushing local warehousing fees skyward, the pharmaco can seek either to limit the vendor’s fee increases to actual labor inflation rates or, if cooperation seems more promising, to shift the whole operation to a different vendor warehouse located further inland. In a similar vein, the pharmaco may find that its own practices are the cause of other inefficiencies - incomplete address information for shipments, or last-minute bookings for long haul transport - and it can eliminate those inefficiencies for further savings. Finally, in exchange for lower fees, the pharmaco may be able to identify best practices that providers could follow, such as better management of back-haul loads so that trucks travel full in both directions. That delay is fairly typical, if well worth the wait. But both for this company and for much of the pharma industry, faster results are also possible by revamping how current warehouses operate. Here, the pharma industry’s prospects are especially rich. Our analysis of well over 100 pharmaceutical warehouses across Europe showed a broad range of performance, with an average gap of 39 percent between actual and potential warehouse costs (Exhibit 2). Even the top-quartile warehouses showed costs that were an average of 15 percent higher than what they could be. However, deeper analysis of the data revealed that there is no simple formula for reducing warehouse costs that a company could apply across the board. Instead, identifying the areas that a particular warehouse must address will rest on the clean-sheet analysis of that warehouse’s individual performance. But even though the specific issues will vary, the approach that companies can use in addressing those issues will share the same principles, which are rooted in the lean-management principles that have renewed corporate performance across settings ranging from auto factories to wholesale banking. Clean to lean. For an individual warehouse, the clean-sheet comparison will generate a large preliminary gap that is simply the total costs of the current facility against the ideal. But that ideal is necessarily artificial and must be adjusted for external conditions that the warehouse cannot control, such as compliance with specific customer labeling and documentation requirements, or local wages and land prices that are higher than average. The next step is to translate the clean-sheet findings into tangible actions that close the gap. This is the stage where companies are often tempted by technical solutions, such as the automated picking system described earlier. But the experiences of dozens of companies, operating hundreds of warehouses around the world, have reinforced our view that these tactics alone are not enough. For improvement to last, it must fundamentally change the way people work across the entire operation - something that no picking system can do on its own. Conversely, the companies that have truly transformed their warehouses not only sustain the changes they have made, but continue improving well into the future. What these companies have in common is that they redesigned their warehouse operations using lean management concepts, which incorporate deep insights about the human side of change into a rigorous system for identifying and addressing waste. The basic ideas behind lean are deceptively simple. A “lean” organization redesigns its layout and processes to provide exactly what its customers really want - no more, no less - at the right quality and with only the resources (labor, time, capital) that are truly necessary. It makes performance transparent, with visual management techniques to aid in the uncovering (and resolution) of problems and the deployment of resources. Its organizational setup evolves with new leadership norms that emphasize coaching and capability building at every level, along with strategy and goals that provide a meaningful purpose for everyday work. The trick, of course, is to strengthen all of these elements at once. Finding the right actions to take at a warehouse will therefore require a pharmaco to understand more than the warehouse’s visible mechanics and processes. The pharmaco must have a clear picture of the management practices and organizational culture as well. Striking gold: a case example. One pharma warehouse illustrates this diagnostic in action. The warehouse was one of the company’s better performers, but its operating costs were too high. Management sensed that it could reduce the warehouse’s costs substantially while improving service still further. A walk-through revealed quite a few very basic process problems, such as inefficient workstation layouts for hospital products, time-consuming manual labeling of packages and redundant data checks. But even more important were several things that the walk-through should have found, but did not. Day-to-day performance management was essentially nonexistent; workers and managers had little way of knowing how the warehouse was doing or what their goals should be. Collaboration was poor, particularly on critical quality issues. And capability building was occasional and informal, giving workers few opportunities to build new skills. Over the next year, the warehouse underwent a complete transformation. The visible changes were simple: The company revamped its factories’ labeling practices so that everything arrived at the warehouse correctly labeled - drastically reducing time to receive product. Within the racks, products were slotted according to their velocity (that is, where they were fast- or slow-moving). And new operating practices at the start and end of each shift (such as standard locations for the picking carts and reduced time for receiving the next picking batch) raised picker productivity by 20 percent. Some of the crucial changes were much less visible. The company clarified the warehouse’s performance metrics, and then used them to create a new system of brief daily “huddles” to review results and identify problems. Managers started spending much more time on the work floor, coaching employees, observing real workflows and reallocating people to balance workload. Unit leaders who previously had little contact with one another now had regular meetings to resolve problems that cut across boundaries. The combination of structural, management and mindset changes together doubled the warehouse’s volume, and the number of employees actually fell (mainly because of attrition). Packaging usage reduced substantially. On-time, in-full performance rose to 99 percent, and picking errors fell to almost zero. True excellence in logistics cost performance is still rare in the pharmaceutical industry. And as with all gold rushes, the highest profits will go to the earliest movers. Those that seize the opportunity quickly can attain a difficult-to-imitate competitive advantage that is especially critical for an industry facing extraordinary pressures. Even more savings can result from combining the clean-sheet data with strategic considerations as part of a reevaluation of the entire logistics network. The European pharmaco mentioned earlier in this article started with a network comprising a minimum of one warehouse for virtually every EU member country, with additional locations in some countries for specialized requirements, such as cold-chain capabilities. The ensuing complexity and redundancy made for an unsustainable cost base, particularly given the larger economic and regulatory burdens that pharmacos operating in Europe now face. Managers therefore took a hard look at the logistical implications of the strategic moves that the company might make, given growth projects for the various EU markets, competitive dynamics, and public-policy matters such as possible changes to payer relationships or manufacturing incentives. The answers provided an initial filter on the locations where the logistics network would need more or less coverage. The next considerations to incorporate were largely operational, including the location of current vendors and the service-level requirements of major customers - frequency and speed of shipment, priority for allocation of difficult-to-source products, and so forth. Finally, accounting and finance considerations played a role in deciding where inventory should best be located in light of tax or regulatory requirements. The ultimate conclusion was a recommendation to close about half of the warehouses in the current network for a savings of about 20 percent. But the process of consolidation would take at least three years in light of the company’s existing contracts and a need to minimize disruption to its business.